If you live in Lahore, you would know that there is a bakery in almost every corner of the city. So for a bakery to stand out, it needs to be the best of the best. One such bakery is Baba Bakers and Sweets on M. M. Alam road. 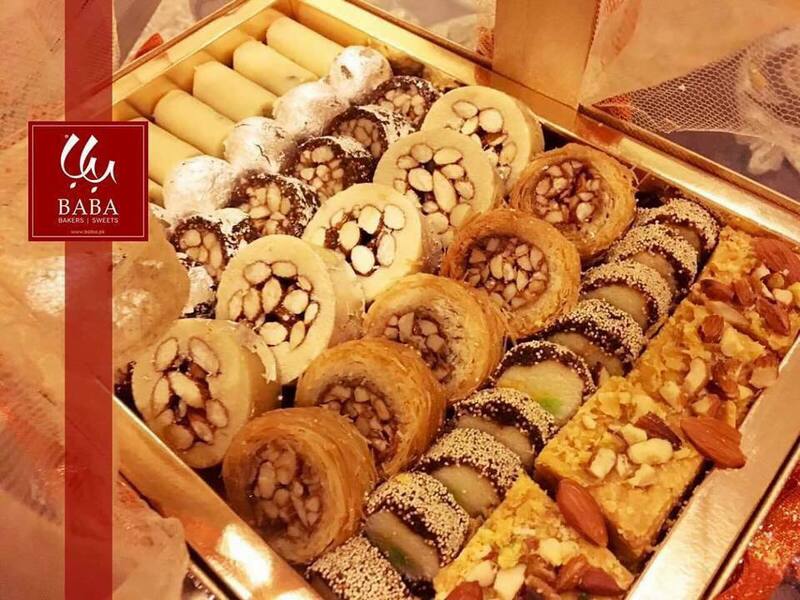 This bakery was originally started in Gujranwala and because of its massive popularity, it came to Lahore as well. If you haven’t paid a visit there, now is the time. You won’t regret it. Best Sandwiches in the city? We think so! If you are a sandwich aficionado, then you will enjoy all the sandwiches on their menu. Carefully handcrafted and made in their live kitchen, they are flavourful and totally hard to put down. One of their very popular sandwich is the Chicken Barbecue. It is filled to the brim with delicious chicken marinated in barbecue sauce and topped with mayonnaise, barbecue sauce, crunchy lettuce and cucumber. It has the perfect barbecue flavour. Another well-loved sandwich is the Grilled Chicken Sandwich which has chicken and mushrooms smothered in thousand island sauce with black olives, cheese, capsicum, and mayonnaise. The Chicken Mushroom Sandwich is also finger licking delicious. It has tender chicken bits with loads of mushrooms, onions, and capsicum. The Chicken Club Sandwich is also something you would enjoy. It is one of the best club sandwich in town. Other sandwiches on the menu are the Chicken Tikka Sandwich, Smoked Chicken Sandwich, Chicken Tandoori Sandwich, and the Chicken Fajita Sandwich. So how about that delicious sandwich? What if I tell you that you don’t even have to go all the way to M. M. Alam for some delicious sandwiches? That is because Baba Bakers and Sweets is listed on Cheetay. So wherever you live in Lahore, you can order from them without a hassle. All you have to do is visit the Cheetay website or download the Cheetay app and just wait while our Cheetah’s deliver your order in a jiffy.